WASHINGTON -- The Trump administration has informed the Palestinian government that its primary office in Washington D.C. will be closed, deepening a rift with the Palestinians and drawing cries of a "dangerous escalation" from their leadership. The move, which U.S. officials were yet to confirm on Monday morning, comes after the White House said over the weekend that it was cutting $25 million in funding for health services in heavily-Palestinian East Jerusalem. Senior Palestinian diplomat Dr. Saeb Erekat confirmed in a statement released Monday that the U.S. government had informed the Palestinian Authority that the office of the Palestine Liberation Organization, effectively the Palestinian parliament, would be shuttered. "We have been notified by a US official of their decision to close the Palestinian Mission to the US. This is yet another affirmation of the Trump Administration's policy to collectively punish the Palestinian people, including by cutting financial support for humanitarian services including health and education," Erekat said in the statement. 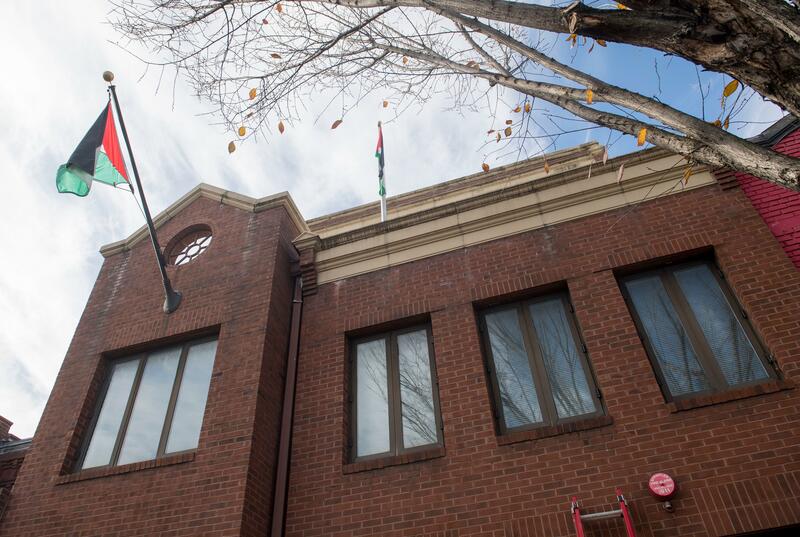 Closing the PLO office in D.C. will leave the Palestinians without a formal presence in the U.S. capital. Erekat said the "dangerous escalation shows that the US is willing to disband the international system in order to protect Israeli crimes and attacks against the land and people of Palestine as well as against peace and security in the rest of our region." The Trump administration said Saturday that it was cutting $25 million meant for East Jerusalem hospitals and putting the money toward "high-priority projects elsewhere." The move follows the State Department's late August announcement that the administration is slashing more than $200 million in bilateral aid to the Palestinians following a review that President Donald Trump ordered to ensure the spending was aligned with U.S. national interests. The Palestinians had held out hope that the hospital money would be spared because it was not included in the previously announced cut. On Saturday, the Palestinian Authority denounced the administration's move as "an act of political blackmail." The State Department said the review was intended to make sure the American aid was "being spent in accordance with U.S. national interests and were providing value to the U.S. taxpayer." The administration "will be redirecting approximately $25 million originally planned for the East Jerusalem Hospital Network. Those funds will go to high-priority projects elsewhere," the department added. It did not identify the projects. In response, Palestine Liberation Organization executive committee member Hanan Ashrawi accused the administration of threatening to cause "serious instability and grave harm" to thousands of patients and their families across the West Bank and Gaza Strip, and jeopardize the livelihood of thousands of workers in the Palestinian health care sector. "Such an act of political blackmail goes against the norms of human decency and morality," Ashrawi said in a statement. "Politics should not trump humanity or harm a vulnerable people in need of support and protection." The administration announced the original cut in U.S. aid to Palestinians as Mr. Trump and his Middle East advisers prepared to release the U.S. peace plan for Israel and the Palestinians. But Mr. Trump angered the Palestinians earlier this year by moving the U.S. Embassy from Tel Aviv to Jerusalem, which led the Palestinians to break off contact with the U.S.